This past Sunday, Smash Gyms competitors Rogelio Morales and Aaron Jen competed at the CCSF Judo Invitational Tournament in San Fransisco, CA. Rogelio, competing in the adult division, placed 2nd. Aaron, competing in the kids division, placed 1st. Congratulations! 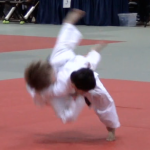 The CCSF tournament marks the end of the 2012 judo competition season. Both have made excellent progress in their judo training this year. We look forward to seeing both continue their progress in the new year. 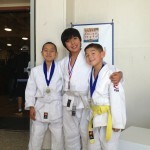 Here are some highlights of Aaron at the CCSF Judo Invitational.